This stylus lets you make selfies with a single click on the button, using it as a remote controller. 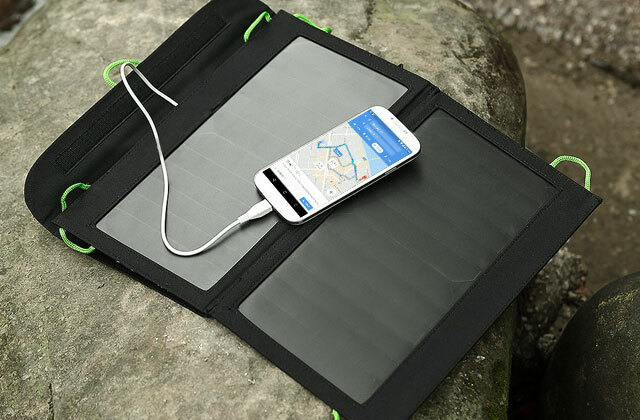 It takes only one hour to charge up and operates for 7 hours. 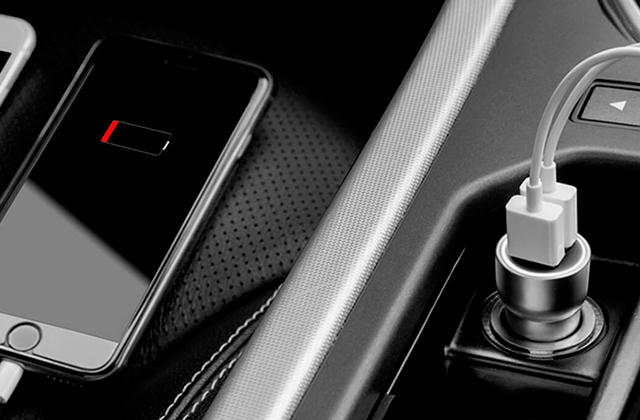 The magnetic attachment to your phone makes it easily accessible. The camera button is not suitable for Android devices. 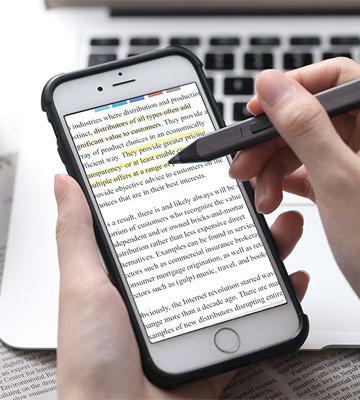 This stylus is made for convenient and effective use of your smartphone to edit your photos, introducing something new to socializing in the network. 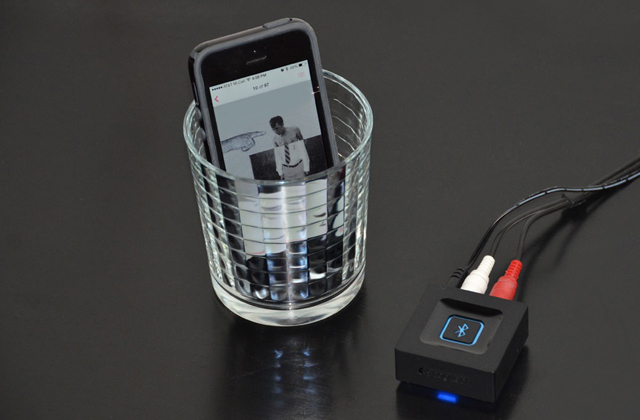 It is compatible with Android and iOS smartphones. An ergonomic metal clip lets you easily attach the stylus to a pocket on your jacket, providing an on-the-go access to make urgent notes. Compatible with most of the apps, including those converting your hand written text into PDF. If you're looking for a stylus to use on a daily basis, make urgent notes on the screen of your mobile device, be it a phone or a tablet, this model is the best option. The tip lets you put every dot and line with the most precision right where you want them. The opportunity to use tips on both sides of the stylus lets you put nibs of a different diameter with no need to change them, providing a high versatility. You won't find any plastic elements. A very beneficial option with a good package bundle of a great quality for a modest price. This solution is great for those who want to have a truly versatile stylus for everyday tasks on the touchscreen of a mobile device. Simple and elegant at the same time, the model will suit anybody. The tip material provides a matchless durability, making a positive impact on the life span. 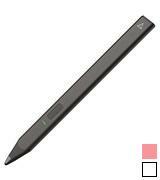 This stylus is compatible with numerous apps by Wacom and other developers. Replaceable nibs are not cheap. This stylus lets you make more accurate notes during meetings or classes, and write down your brand new ideas on-the-go. 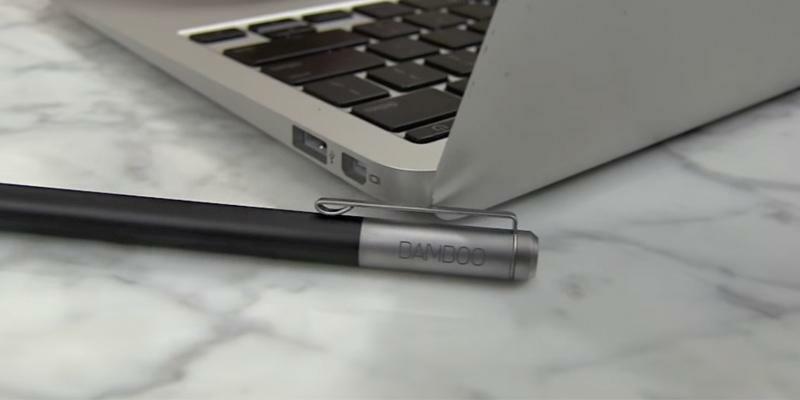 The Bamboo Solo Stylus is the best tool to express your mind in a creative way. This model is distinct for its forethought construction, weight balance, and reliability. The package comes with two styluses with protective caps, four transparent disks, and two extra tips made of a durable fibre. In addition, you get a stylish case to carry and store all of these securely. Any kind of dirt on the tip causes sensitivity decrease or screen scratches. It is a perfect option to draw accurate calligraphic lines and write down brief notes with an opportunity to change the nib in a matter of seconds with no tools. When it comes to purchasing a stylus for a smartphone, many users get disappointed by the inconvenience of most of the devices on the market or the fact their expectations for accuracy and good functionality weren’t met. The Snap stylus by Adonit, one of the leading companies in the field, lets you forget about these issues. 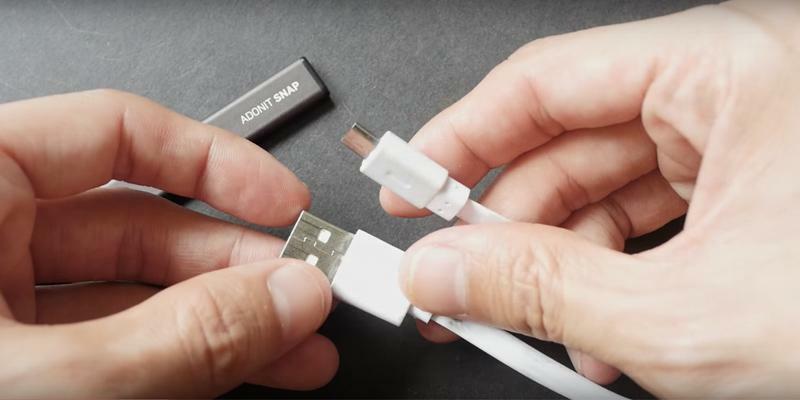 So, why do we think Adonit Snap is designed particularly for smartphones? 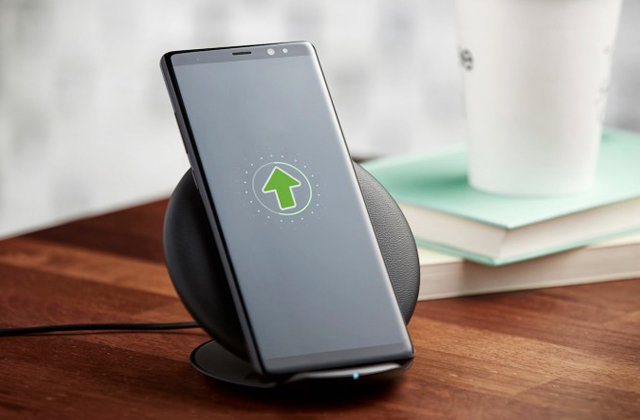 Firstly, it has a convenient selfie function, provided by Bluetooth synchronisation and a special button on the body of the device, which takes the photo when you click it. 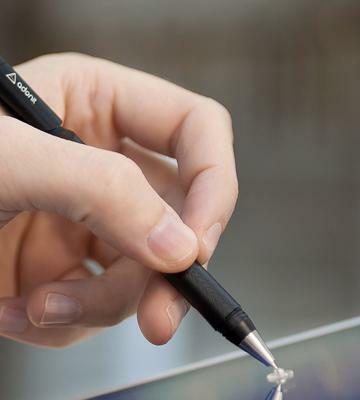 Secondly, the Adonit Snap stylus is unbelievably thin, making just 4.3mm in diameter. The body is a bit flattened for a reason: it is made for you to clip it on the back of your smartphone. How do you do that? Well, the package comes with a special metal plate which is attached to the smartphone, and that's where you stick your stylus with a magnet. Therefore, you will have this accessory on-the-go, there's no need to put it in your purse or pocket. And as for connecting it to the phone, this stylus has a Bluetooth 4.0 compatibility with smartphones like iPhone 5 and higher, or Android 5.0 and later versions. 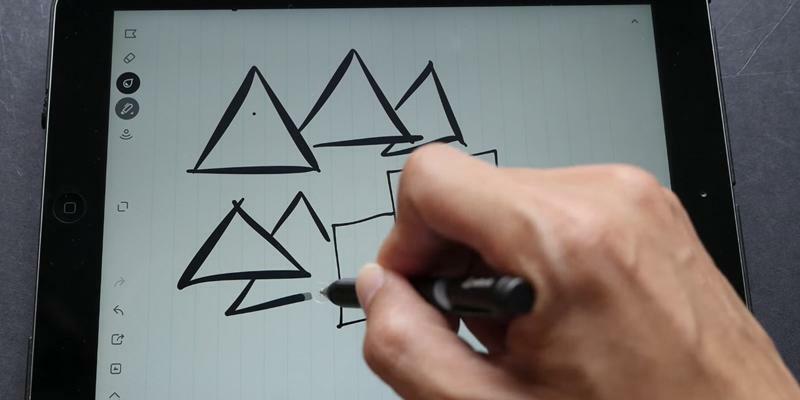 Having looked through the stylus connection and shapes, we couldn't help but notice its stand-alone and accuracy properties. 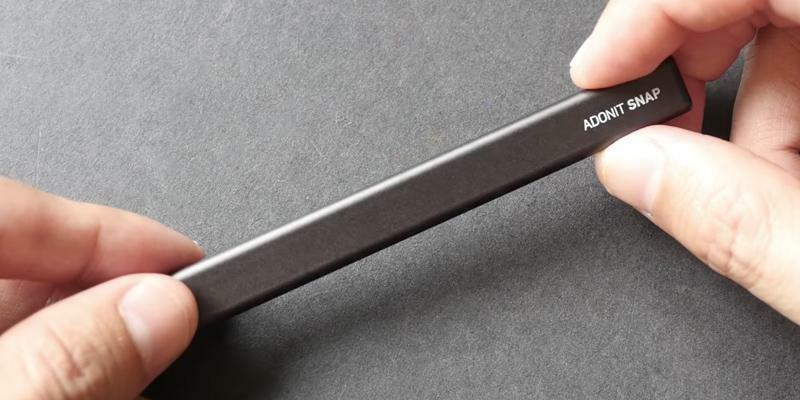 Think about it: Adonit Snap has one of the thinnest tips among similar devices, mere 1.9mm, making you feel like you're writing and drawing on your phone's screen. As for charging the stylus, you can easily do it by connecting your pen to a USB inlet via micro USB cable you will find in the package. It doesn't take more than an hour to charge it up, whereas the working cycle is 7 hours, and that's a really high figure considering the small size of the stylus. The Adonit Snap's body is made of aluminium with some stainless steel elements, making it able to withstand physical pressure. The body has the power and synchronisation buttons and a green LED that shows when the device is working. As you can see, it is definitely well-thought-out. 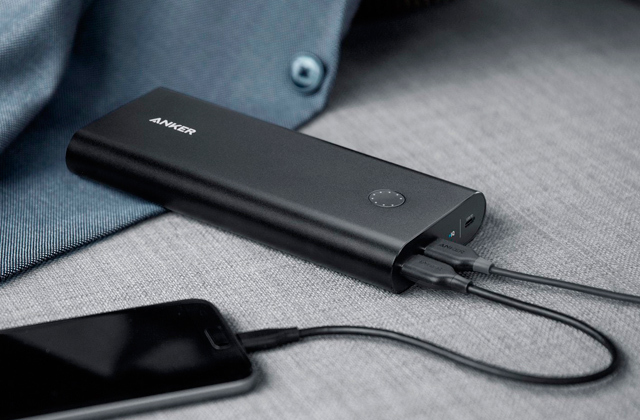 Since your stylus has a battery, you should think about the way you can quickly charge it up, and that's when the power bank comes in handy. 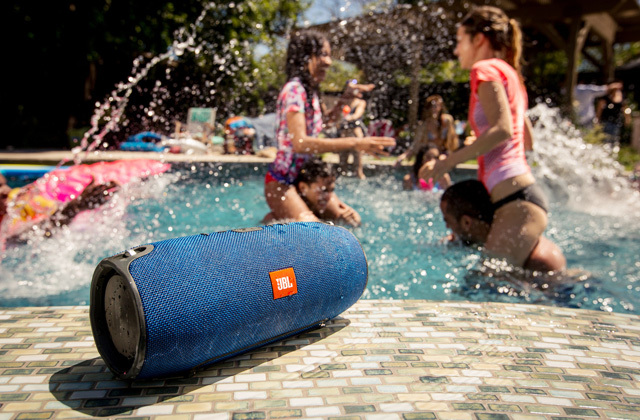 You can read about the best models in our review. 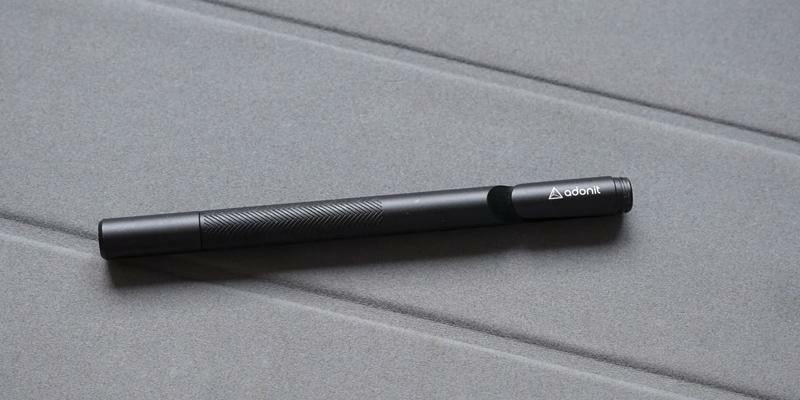 The first thing you notice about the Adonit Jot Pro stylus is how it looks, making a huge difference with a model like Snap by the same manufacturer. 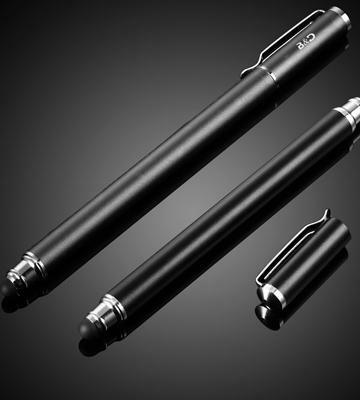 This one is designed like a regular pen and has a full aluminium body with steel elements. Notably, the clip has an unusual yet really durable construction, geared to simplify carrying the pen in the pocket of your shirt or jacket. There is even a thread on the back tip for you to screw the cap and never lose it. These elements in conjunction with the metal body make this stylus look sharp and stylish. You will also be surprised with its convenient size: 123mm long (with the cap) and 9.5mm in diameter. It fits in your hand perfectly. Furthermore, it has some special knurls for a good grip, preventing your fingers from sliding. 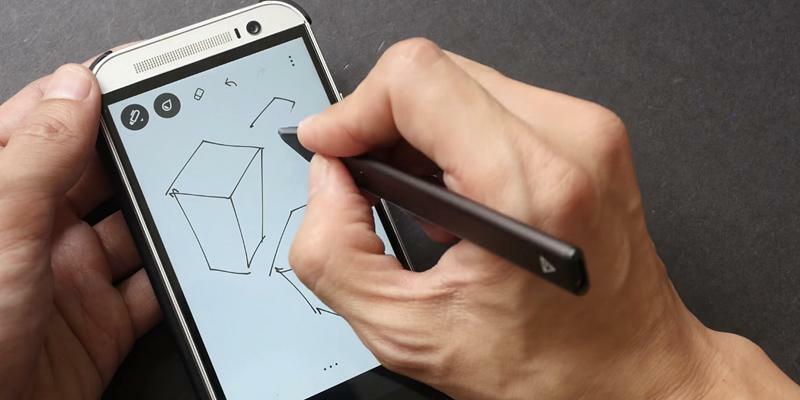 Regardless of the great look and balance of this stylus, users are mainly focused on the practical usability and tasks that can be accomplished using this device. We find it right since not every stylus suits any kind of task the same way. Talking about Adonit Jot Pro, this model is, so far, the best solution for everyday notes and sketches. Mainly, it is thanks to the incredibly thin tip. 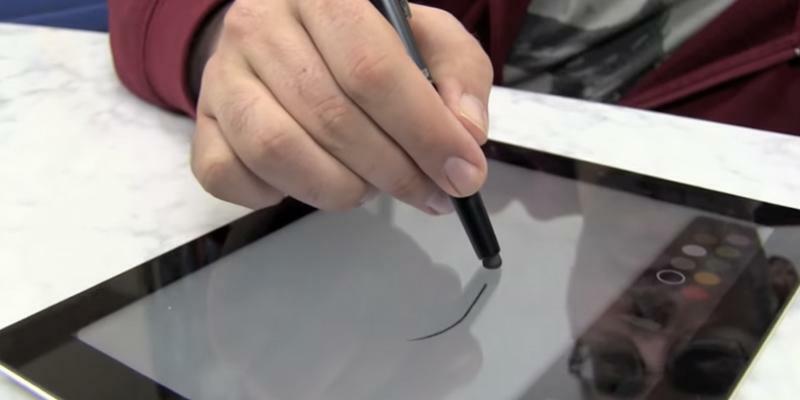 This stylus uses a transparent disc that touches the screen right where you put the nib for more accuracy. But don't worry, the disk won't hinder the process, this pen is smooth and soft in action, making nearly no noise when hitting the screen since there is a damper that softens the pressure. 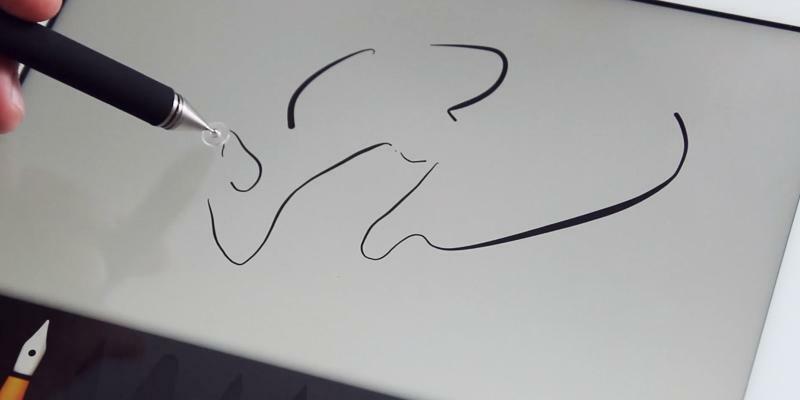 The same transparent disc lets you draw while holding the pen at an angle. 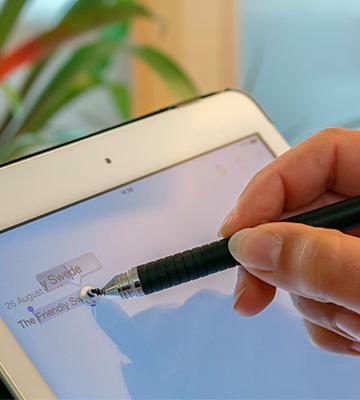 Get this ultimate precision stylus for your iPad, iPhone, Android, or Windows device with a touchscreen. If you want to make notes like you do with an analogue pen but with an opportunity to make digital copies, you definitely need a digital pen. The main advantage of a digital pen is that you can use writing as an input method. Even if you use your pen without your computer, the notes you make are saved to the built-in memory. 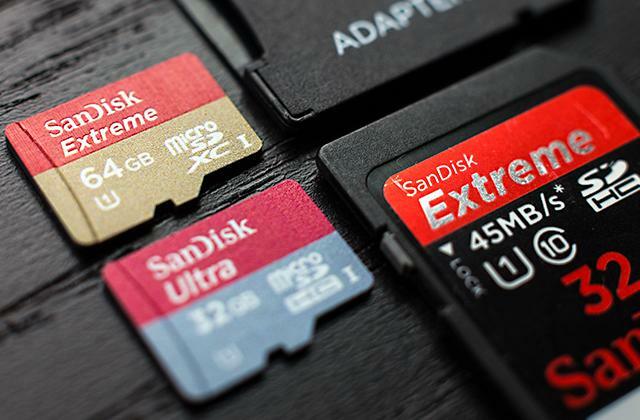 Special applications are used to read the memory, allowing you to manage the data in various apps or as computer images. You can find the best digital pens in our review. When choosing a stylus, many users seek a versatile solution to go with different devices and for various purposes. Even though the former is not a big deal, it is hard to put the latter to practice since the nib of a stylus has a certain diameter, and you would have to manually change the nib to make a thinner or thicker line or even simply switch to a screen of a different size. Not overly convenient, right? Well, forget about it! The Bargains Depot stylus welcomes you to alternate the tips without fuss, thanks to an interesting solution of putting an extra nib on the top of the device where we are used to seeing a cap. The package comes with 4.5mm and 6mm tips in diameter, making this stylus ultimately versatile without wasting your time to change the nib like you would have to with a different pen. Notably, if a tip fails to operate, you can easily replace it. We would also like to mention that this stylus is compatible with any capacitive touchscreen regardless of the operating system. When buying a stylus, we are used to getting only a couple extra tips in the package. Bargains Depot is more generous than that. Buying two pens in a bundle package (which is a significant benefit considering the modest price compared to other manufacturers), you also get six extra 4.5mm nibs and four 6mm ones. And it's not a plastic pen you receive, too! This construction is made of stainless steel and aluminium, ensuring a long life. 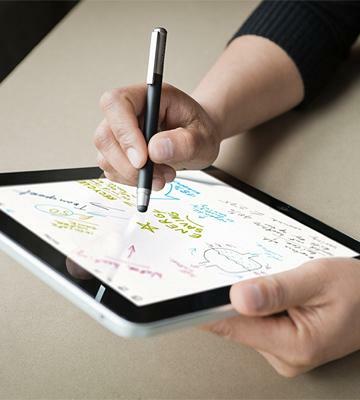 This truly versatile 2-in-1 stylus can be effectively used no matter the device or task. It is highly unrecommended (and usually punished by the police) to actively use gadgets when you drive, especially gadgets with touch screens where you can apply a stylus. Your hands must be on the wheel and car controls and your eyes on the road at all times lest you can get into an accident. 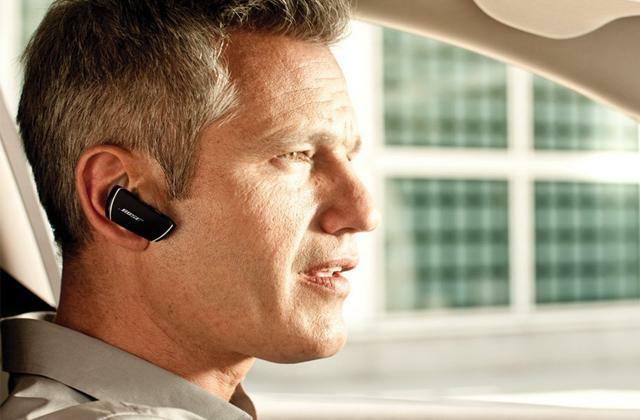 However, we often use our smartphones and tablets as GPS to navigate the streets. If this is true for you, we recommend you to invest in a car phone or tablet holder. Previously, we have looked at more expensive stylus pens but we couldn't go past a great solution named CS-100 Bamboo Solo Stylus by a worldwide famous Wacom company, which is popular for its drawing tablets, special applications, and drawing accessories, including styluses. 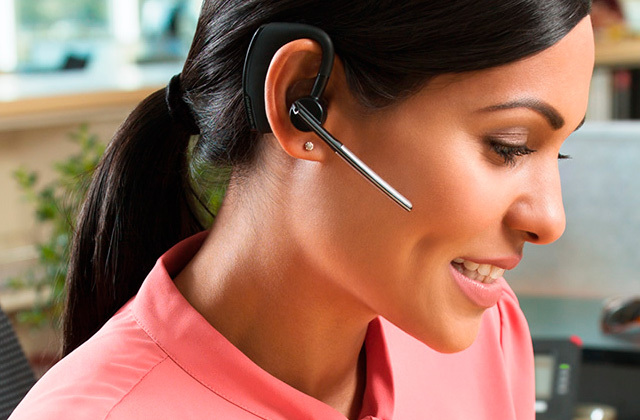 To our mind, this stylus is one of the most versatile products on the market. Why so?Firstly, Bamboo Solo Stylus is compatible with most of the tablets and mobile devices that have capacitive touchscreens. 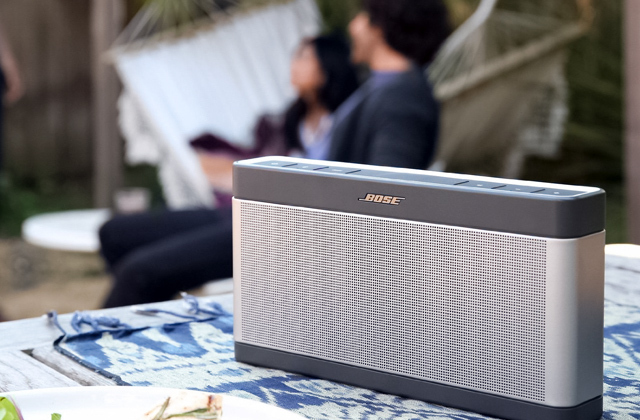 You don't need to synchronise it with other devices and you can use it right from the box. Notably, this stylus pen is really convenient with its simple shape, smooth-to-the-touch satin-textured metal body, and weight balance. The nib is pretty durable and sensitive at the same time. The manufacturer states that the Mamboo Stylus Solo tip is 25% thinner in diameter (6mm vs. 8mm) than most of the other models on the market with the same type of nib. 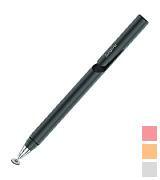 Thus, this stylus is a perfect solution for writing notes, text selection, editing documents, drawing, sketching, etc. 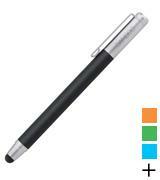 As we've said previously, this stylus is compatible with nearly any device that has a capacitive touchscreen. Notably, it is not the end to its versatility. It is compatible with numerous apps like Adobe Reader, Autodesk Sketchbook, Clibe, Angry Birds, and Bamboo Paper. We would like to highlight the Bamboo Paper — an authentic application by Wacom (available for iOS, Android, and Windows). It lets you easily turn your tablet into a notebook to write down your new ideas whenever and wherever you want. The Inkspace software is an extra advantage which synchronises you notes with Wacom Cloud, where you get free 5 GB of cloud memory with an option to expand it to 50 GB if you purchase premium membership. This function lets you look through your drawing and notes, or share them via the Inkspace portal using any Internet browser. Use the advantages of the stylus with many apps that help you not only express your identity but personalise your work. Introduce Your Designer Solutions to a New Level! If you're a graphic designer and want to create professional images on your computer, the closest digital option to drawing on paper is a quality drawing tablet. You are welcome to look at the best models in our review. This particular stylus comes with several nibs that you can change when you need in a matter of seconds. 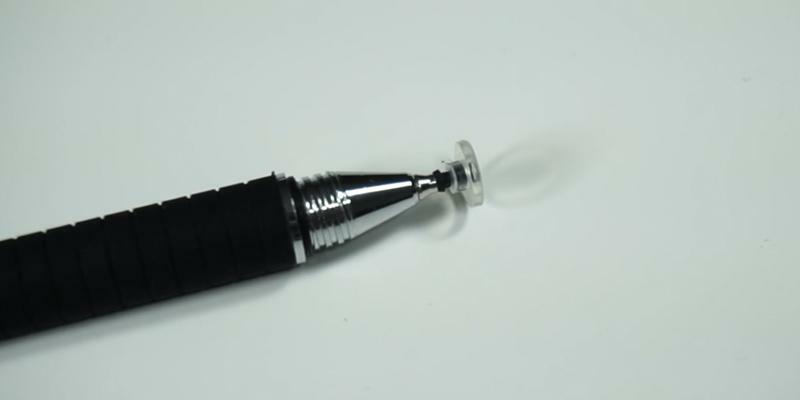 The main 2mm tip is made of gum, finished with a plastic disc on the very end, which is 6mm in diameter. This disc lets you see the starting point of a dot and all the outcoming dashes, making it perfect for notes and drawings. Extra nibs are made of fibre, making it last longer, also have a diameter of 6mm. These tips help you do the everyday tasks, for example, conveniently use the menu, drag images, etc. The MEKO 2-in-1 Precision Series Disc Stylus/Styli is compatible with devices like Apple iPad 1 and 2, iPhone, iPod, Kindle Fire, Kindle Touch, Motorola Xoom Tablet, Galaxy, and Blackberry Playbook Virtuoso Touch. Thus, it seems that this stylus is generally universal and works with different operating systems effectively. This stylus is shaped like a normal pen which lets you get used to it and conveniently work with it for hours. This handiness is determined by its size: 140mm long, 9mm in diameter, and weighs 24g. What makes it distinct from the competitors, is the package bundle, including two stylus pens at a time with protective metal caps that let you carry and store them securely, protecting from the external hazards. Also, you get four extra nibs with transparent discs and two fibre tips. It has a positive impact on your effectiveness because you can easily go for a suitable nib to change, and it also prolongs the life span. A big number of tips prevents you from buying extra ones if they wear out. The body of the stylus is made of aluminium alloy with stainless steel elements, making it durable. 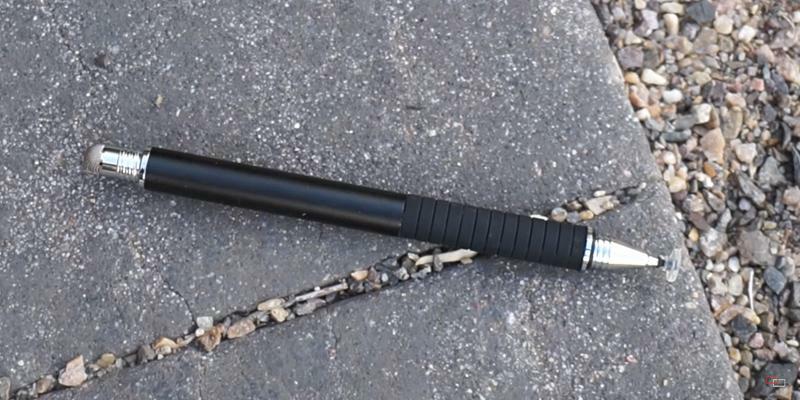 Notably, the rubber covering near the tip is made for a better grip. 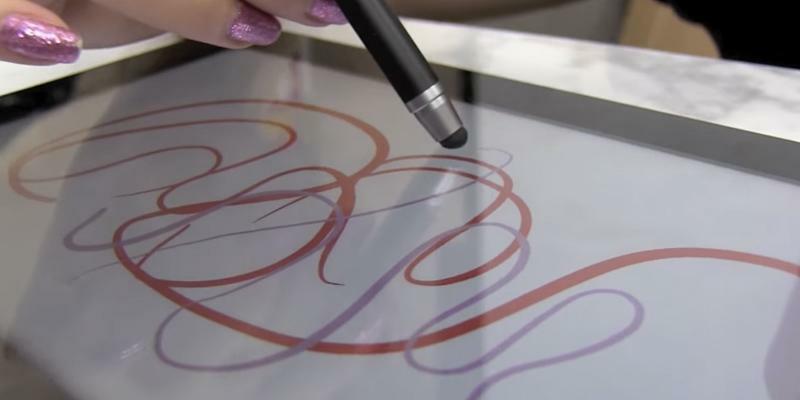 If you are a user of a touch-screen device as a common tablet or a drawing pad, a touch-screen monitor or a smartphone, you could definitely come across a problem of accurate drawing of lines even if you are not a graphic designer. You could also fail to move a picture smoothly around the screen using the keyboard at the same time because that picture was too small. 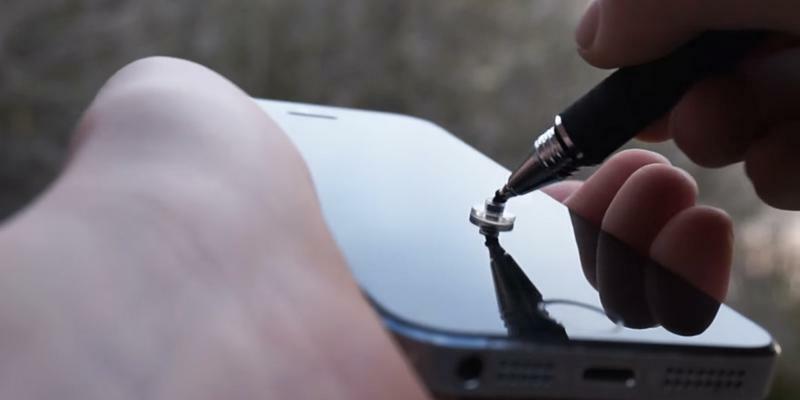 To make the work with capacitive screens easier and more comfortable, you can use such modern tool as a stylus. The stylus looks like just a pen or a pencil but it provides you with the comprehensive control of touch-screen gadgets allowing you to resolve considerably difficult tasks such as drawing sketches, manual input of the text, etc. 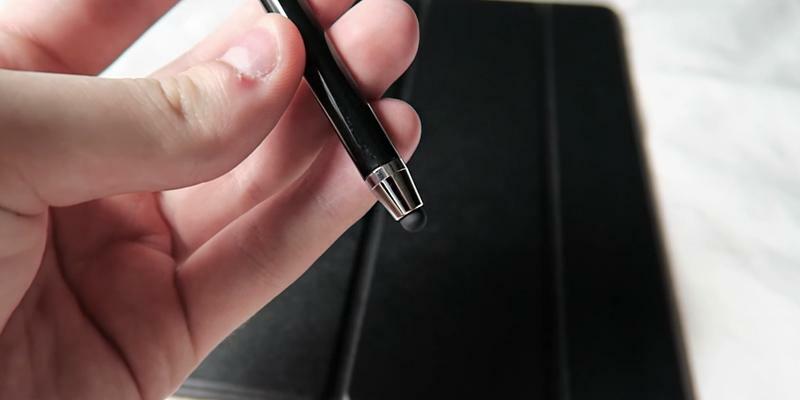 This review covers the best styluses and their major distinctive features. If you need a device for fast and comfy text input, for instance at the tablet or any other mobile unit, we can recommend buying a Bluetooth keyboard. The stylus tip is its most important part. The precision and sensitivity depend on it. One of the major features of the tip is its material. The tip made of sponge is among the cheapest, being relatively precise. The bad side is that it is worn out quickly and should be frequently replaced. Rubber tips are much more common and used for drawing and text input. Note that the rubber is the material most similar to the skin of a human finger. A plastic tip is the feature of expensive stylus models famous for their long lives and extreme precision. The negative part is the tapping sound when the tip touches the screen. Such styluses are also distinguished by transparent caps on their tips allowing you to see the centre of your drawing so as to make the next line more accurate. It is very convenient for fine drawing or calligraphy. There is one more specific type of styluses: active styluses that utilise Bluetooth connection for remote control. These styluses have a very high sensitivity level and might even allow regulating the line thickness. 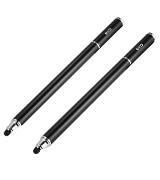 They are ideal for drawing and sketching. It would be also important to take into account the tip diameter which might be between 1.9 – 8 mm. You should be aware that some experts believe that the tip diameter should not be less than a fingertip because, in this case, it may imitate the touch of the finger the best. Usually, the styluses are compatible almost with all modern capacitive screens, but still, you should read the description because manufacturers often provide a list of devices and models compatible with a particular stylus model. For example, some models may be designed exclusively for work with Apple iPads and iPhones, other models may be universal. If you wish to enjoy the best of comfort and performance from your stylus, you should pay attention to its size. The weight, length, and diameter of the stylus body define its position in the grip. Specific features of modern styluses include an option of remote control via Bluetooth. 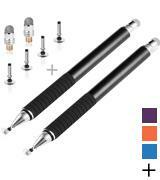 As a rule, these styluses additionally have some programmable buttons for certain functions. 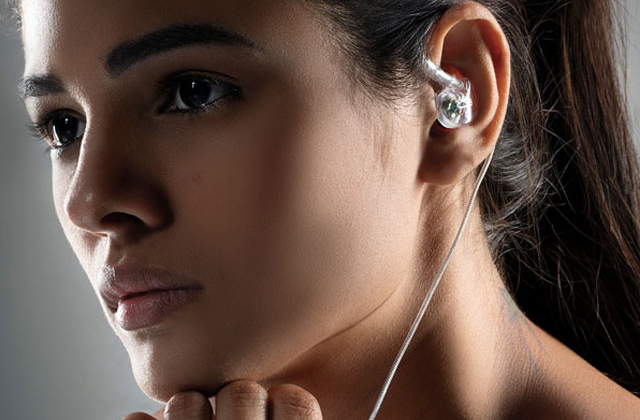 In contrast to passive styluses, the active ones usually have built-in batteries charged from PC USB-ports. Availability of extra tips and caps is another important issue. You will be able, if necessary, to replace a part or choose the best alternative for a specific task. Another key feature of a stylus is an eraser. The eraser allows you to delete a drawing immediately or adjust a picture. Besides, some models combine the stylus and finger controls, i.e. you might smooth rough edges and blend colours on the page with a touch of your finger. In some cases, the manufacturers equip styluses with protective caps, magnets or hand-straps. 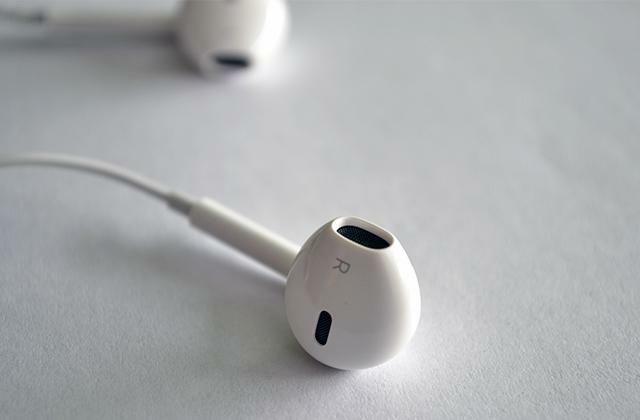 As for material, we recommend choosing the metal-made models; such styluses look better and live longer. Q: Why should I look for a fibre tip? A: A fibre tip doesn't scratch your screen and makes the pressure modest, providing an opportunity for your screen to have a longer lifespan. Although it looks wide, a fibre nib is really accurate, and you can tell it when you use one. Just look for a suitable diameter and make your choice. Q: Why should I look for a transparent disc on the tip? A: In case you are purchasing a stylus pen to draw images, the transparent disc technology is the best option you can find. When you put your stylus on the screen, you can accurately see the place where the dot is and where the line goes. It is not like 100% drawing on paper feel but it is the closest you get with a stylus. You will probably also like the angle which feels really natural when writing and drawing. Q: What's good about aluminium and stainless steel? A: Well, you want your pen to be durable, look sharp, and feel smooth. Aluminium and stainless steel have more advantages than other materials for this type of product. Although plastic is a bit lighter, that's about it if we're talking about benefits. Our fingers produce fat and humidity, affecting anything that we touch, and aluminium and stainless steel prevent rust and stains, maintaining a good look and protecting the inner parts. Q: Why should it be compatible with a capacitive screen? A: Most modern gadgets like tablets and smartphones use capacitive touch screen technology, not a resistive one. Capacitive displays react to the electric impulse your finger sends and not to the touch itself, therefore, when you wear gloves for any reason, to make a call with your capacitive screen smartphone you will need to take them off. Or you can use a compatible stylus instead. Q: What's a good package bundle? A: While some manufacturers include even an extra pen, generally, a good package is the stylus with some additional nibs. The more tips you have, the better. After all, they can not only wear out but also get lost somewhere (like under your couch). You don't want to find yourself without a working stylus at a crucial moment just because the nib you used got sucked into your vacuum cleaner, do you? 1. How to Buy the Right Stylus, eBay. March 3, 2016. 2. 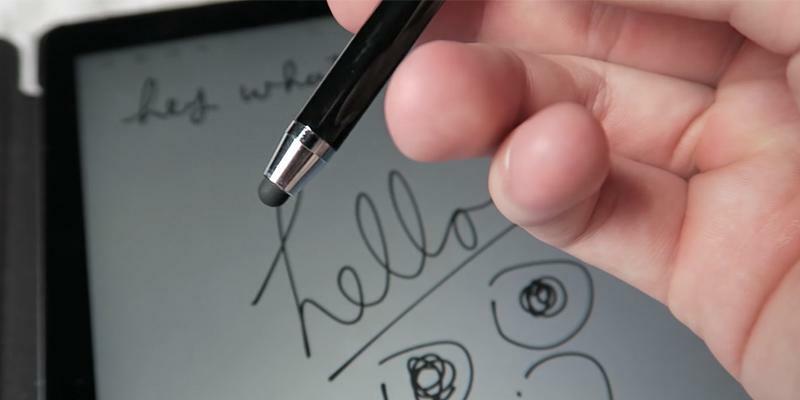 Chris Hoffman Not All Tablet Styluses Are Equal: Capacitive, Wacom, and Bluetooth Explained, How-To Geek. December 9, 2013. 3. Multifunction Pen Buying Guide, Cult Pens. 4. Stylus, Wikipedia. January 28, 2017. 5. Type of Stylus for Your Touch Screen Device, eBay. March 3, 2016. 6. Milton Kazmeyer How Does a Stylus Pen Work? Techwalla.